Fans at the RheinEnergieStadion witnessed an unusual celebration on Matchday 25 after Cologne striker Yuya Osako opened the scoring against Hertha Berlin: a play-fight with fellow forward Anthony Modeste. The Japanese attacker broke the deadlock in the sixth minute with a stunning long-range effort and after exchanging high-fives with his team-mates, went on to practise some kung-fu moves with his French strike partner. 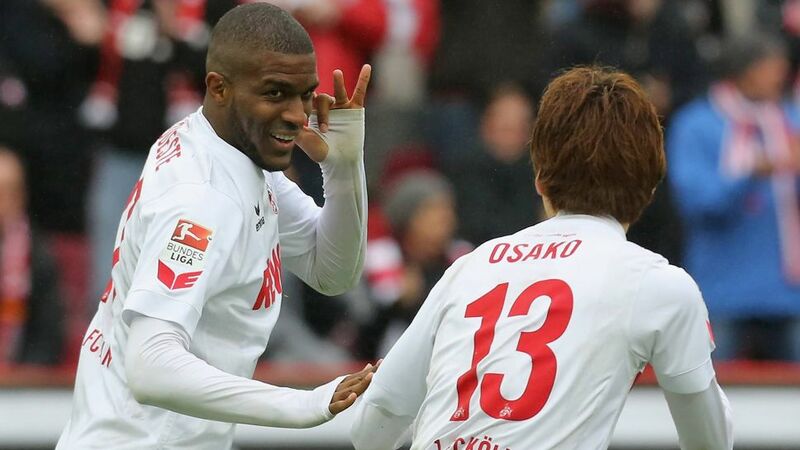 After the match Modeste, who scored a hat-trick in the 4-2 victory, explained the background behind the celebration: "It was a bit of karate. In the film Rush Hour 3 there's black man and a Japanese man in it. It's fun, and I think it's important we have fun out there so that we can play well." Modeste took his tally for the season to 22 and is now Cologne's most successful scorer in a single season for 20 years, while making him a serious rival to Pierre-Emerick Aubameyang and Robert Lewandowski in the race to finish as the 2016/17 top scorer. Unusual goal celebrations are nothing new in the Bundesliga. On Matchday 17 earlier this season, the Bayer Leverkusen players went viral with their eye-catching #Saltbae tribute, while Aubameyang did a set of press-ups after scoring against Bayern Munich on Matchday 11.